Nasim Sdn.Bhd. 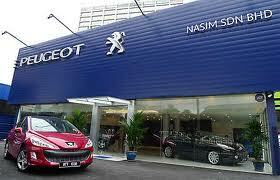 is the official franchise holder of Peugeot, one of Europe's most successful marque. Nasim is currently expanding its service network and is looking for driven and committed individuals to execute its operational goals. Be part of an establishment that believes in nurturing the talent of its workforce whilst ensuring a dynamic yet progressive pursuit of excellence. A fastastic opportunity to advance your career awaits.